The Trust will be celebrating LGBT History Month with an archival photography and memorabilia display in Charlton tea room for the whole of February. As a special Valentine’s Treat on Friday 15 February you can come along for a screening of Dirty Dancing, with a Salsa lesson thrown in. £20 per person with a complimentary glass of Prosecco, watermelons are optional. On Sunday 31 March you can treat mum to a relaxing and traditional botanical afternoon tea. £35 per head for adults and £18 for children, book and confirm before the 15 February and we’ll also enter your name into a prize draw to win a beautiful seasonal bouquet, presented to your special lady on the day. 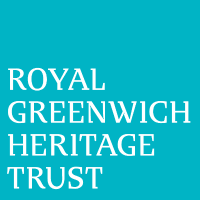 For more details and to book your place at any of the events coming up on the Royal Greenwich Heritage Trust calendar visit https://www.greenwichheritage.org/whats-on, or email info@rght.org.uk.